Being raised in a cult until he reached the age of 13 didn't hurt author Jared Garrett. In fact, his time in the cult permitted him to read and fall in love with the thriller. He took this love and transferred it to the YA world with books like Beat and his newest, Lakhoni. We talk to Jared about YA thrillers, his relationship with Future House Publishing, and how he makes time to write while working a international training job. You can listen at the show page, PodOmatic, or iTunes. 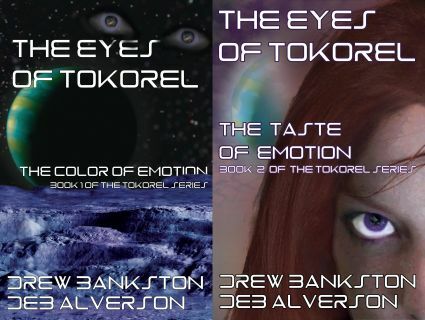 This week's episode of the NCW podcast is sponsored by The Eyes of Tokorel series by Drew Bankston and Deb Alverson. Two planets, two families, one romance. 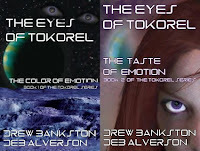 It's space opera at it's finest from authors Drew Bankston and Deb Alverson. Order today at Amazon or your local bookstore.